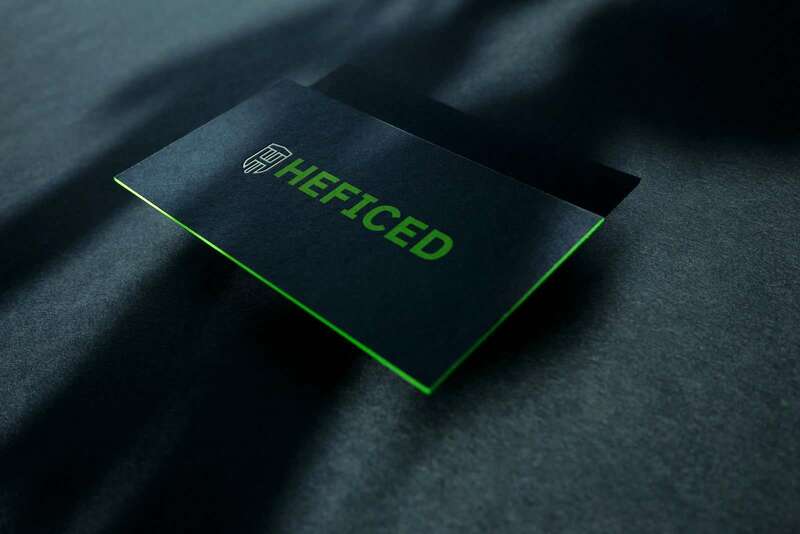 HEFICED is an automated IP management platform, I have no idea what is that and how it works, but I know that those guys have really good taste on design. 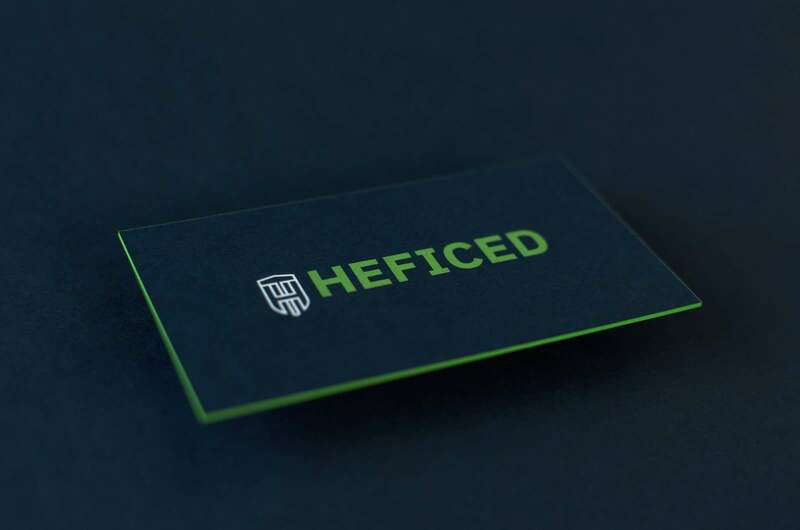 Both the name of the company and the visual aesthetic of its branding looks solid and reliable. I definitely would trust them to manage my IP (whatever it may be) because they have perfectly designed business cards. We always have a big pleasure to print such good designed works. These dark blue business cards we have printed on two separate royal blue paper sheets. Pantone green color is printed in silkscreen and white element we printed with foil and deep impression (deboss). 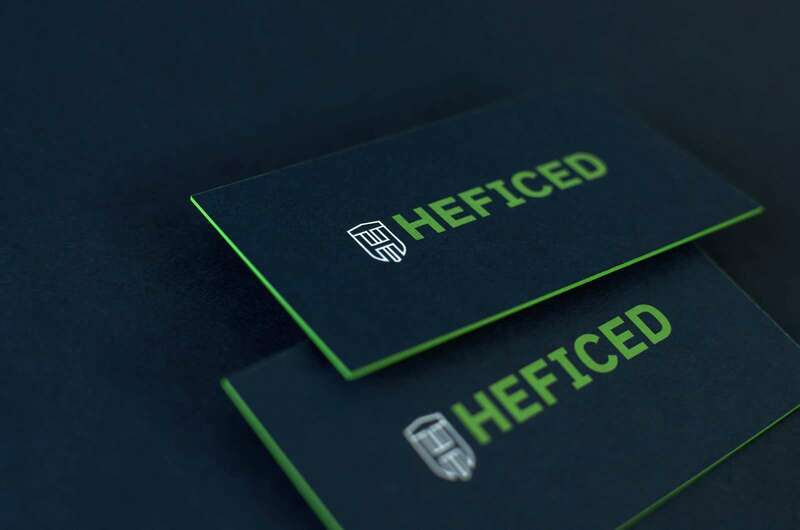 Vibrant green edges fit perfectly for this design and make dark blue business cards look even more solid. Technologies: Foiling, Silkscreen, Edge Painting, Duplex.